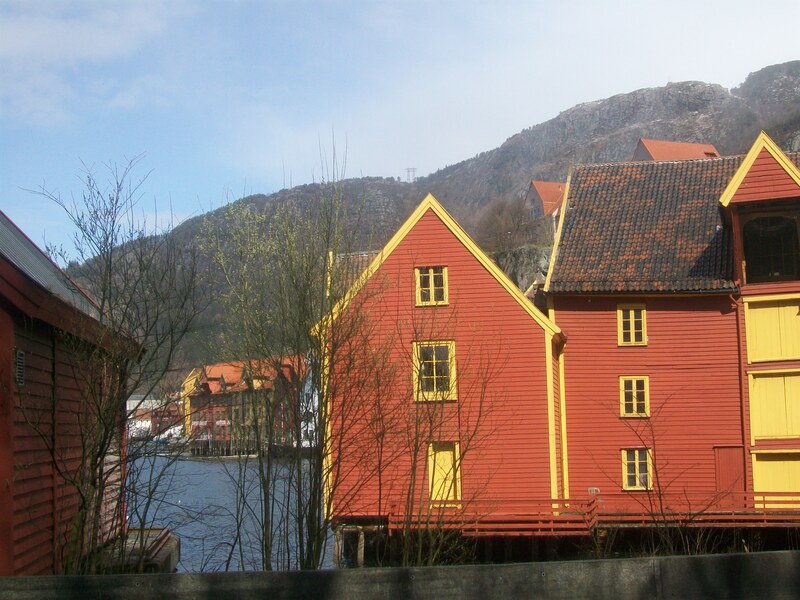 After yesterday’s blog focused on my hike to Bergen‘s UNESCO site old docks of Bryggen, this post has lesser greenygrey photos from Bryggen. 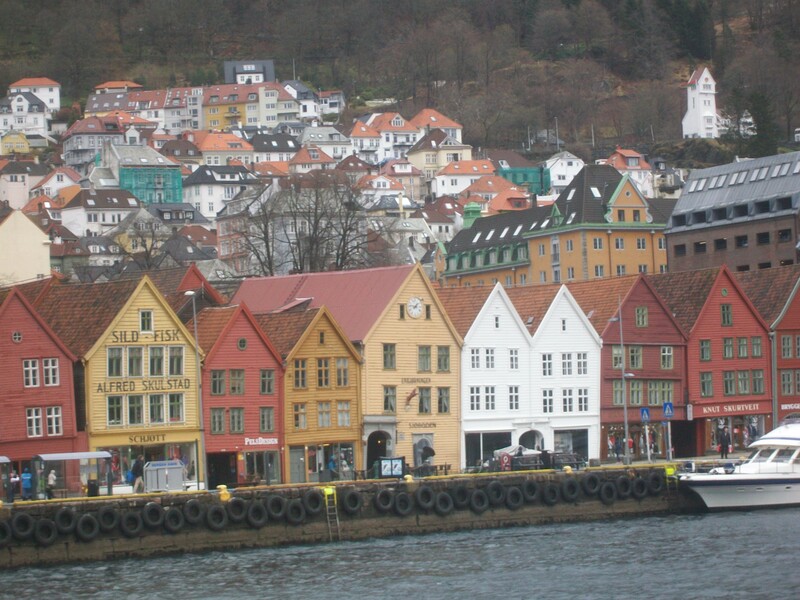 The Greenygrey blog has more photos from Bryggen; of a more greenygrey nature. 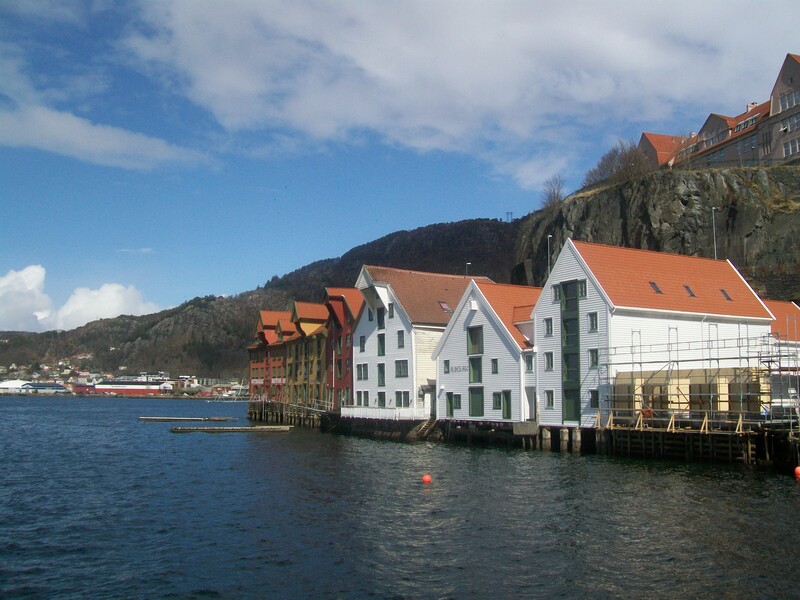 On a day of sunshine and showers, the sun shone enough to get some nice photos, bringing out the bright colours of the docks buildings. 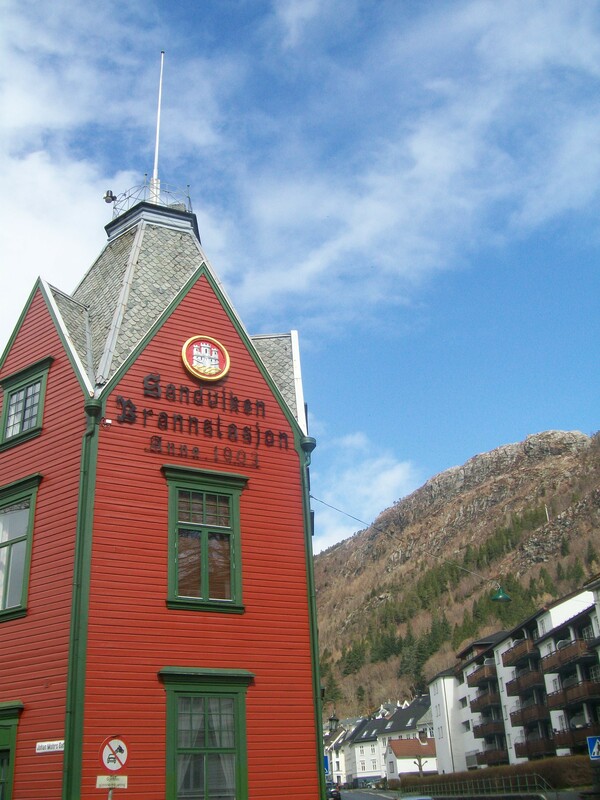 In photo 7 you can see the Floibanen funicular in the background. 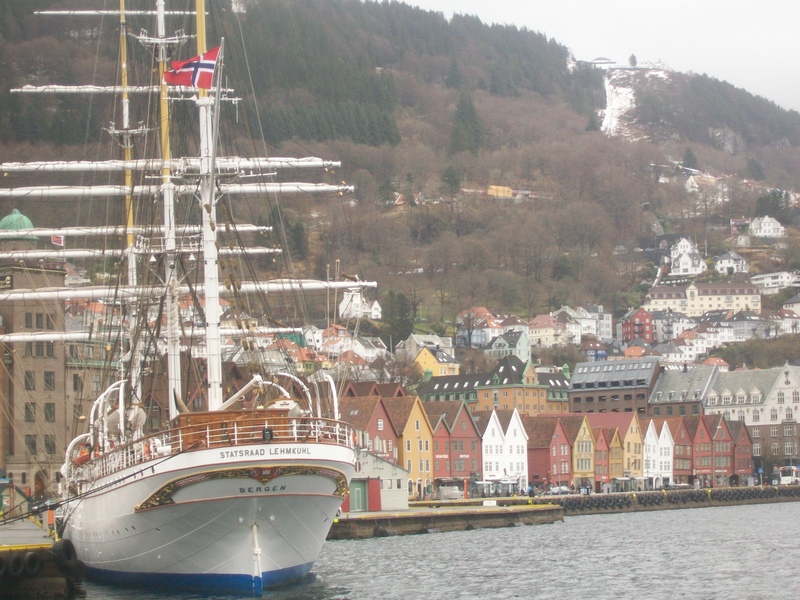 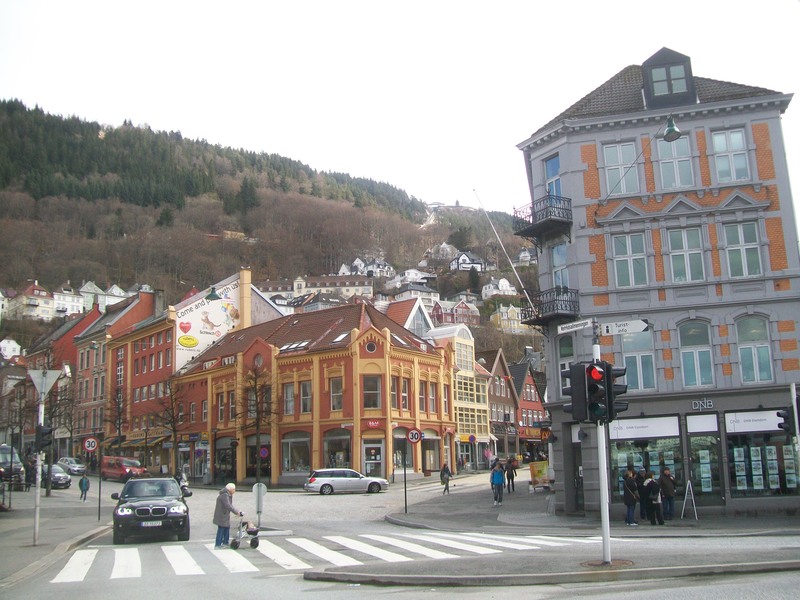 This is a popular tourist attraction providing transport up to Mount Floyen (320 metres) for a good view over Bergen. 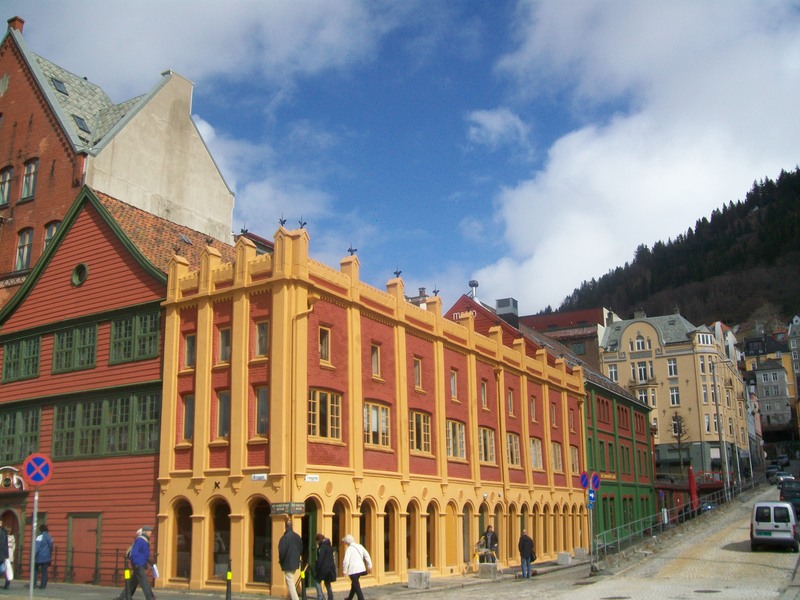 On my third day I returned to the centre of Bergen, having only seen a little of it the first time, when I arrived at the bus station. 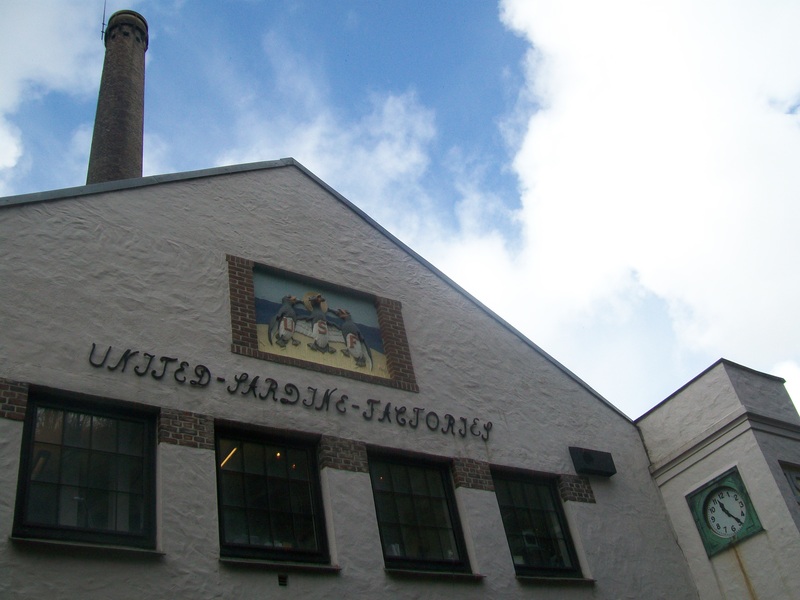 Heading straight to Bryggen, I ended up going left and circling around Nordnesparken park. 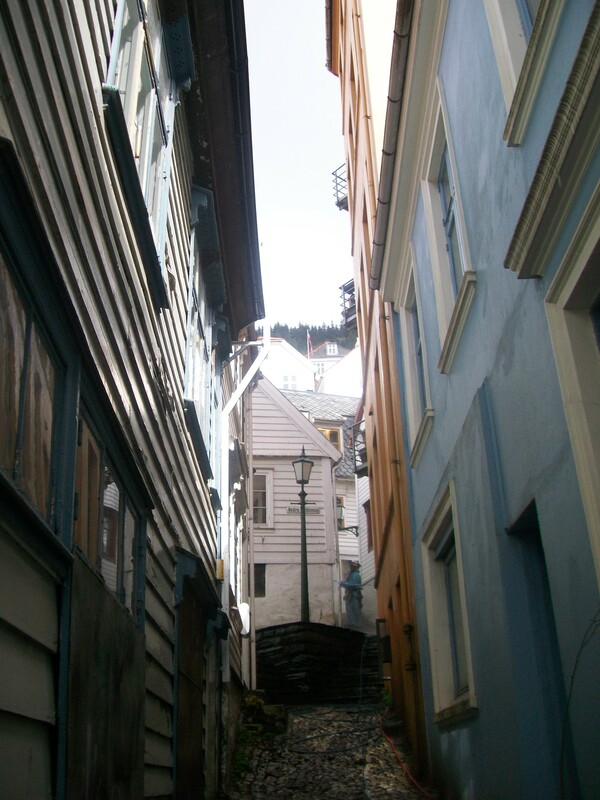 I had all day, so wasn’t bothered, and it was a nice detour. 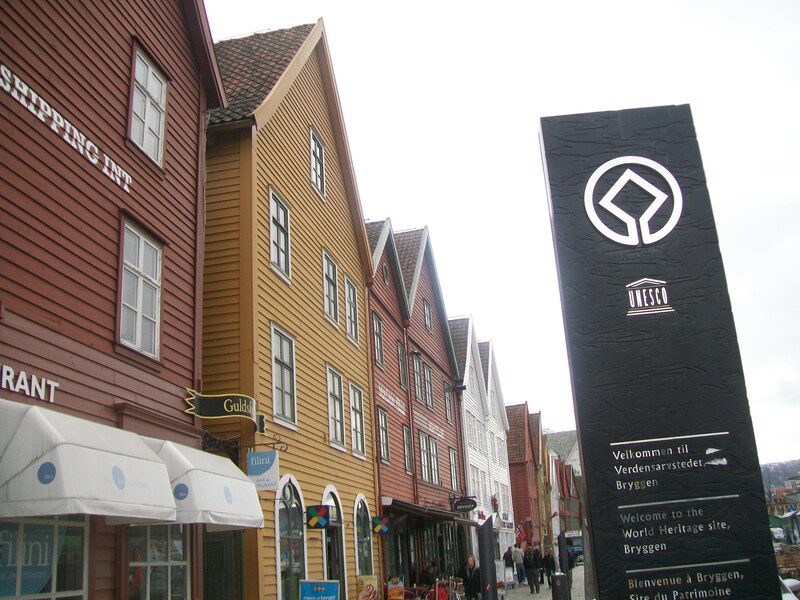 In a double-day simultaneous blogcast with the Greenygrey I’ve divided the photos into pre-Bryggen (the UNESCO site old docks) today, and Bryggen tomorrow; and non-greenygrey photos here and greenygrey ones over at the greenygrey blog… although there is some greenygrey in these too! 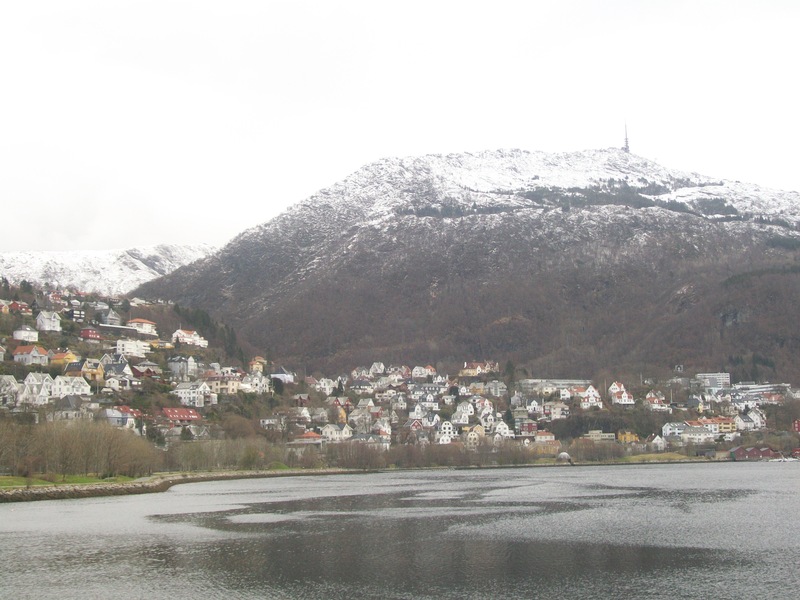 Looking back at Mount Ulriken from east of Bergen’s centre, and west of a North Sea arm reaching into the city. 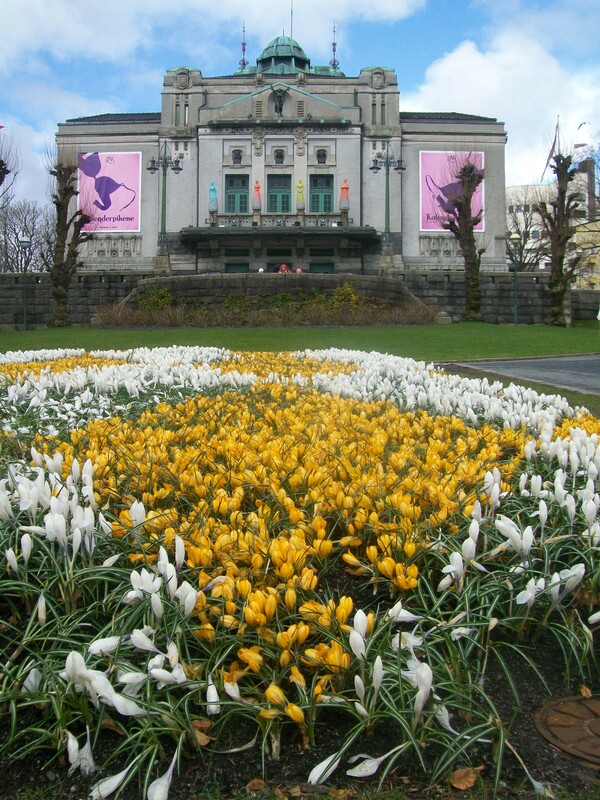 Logen Theatre and garden, Bergen. 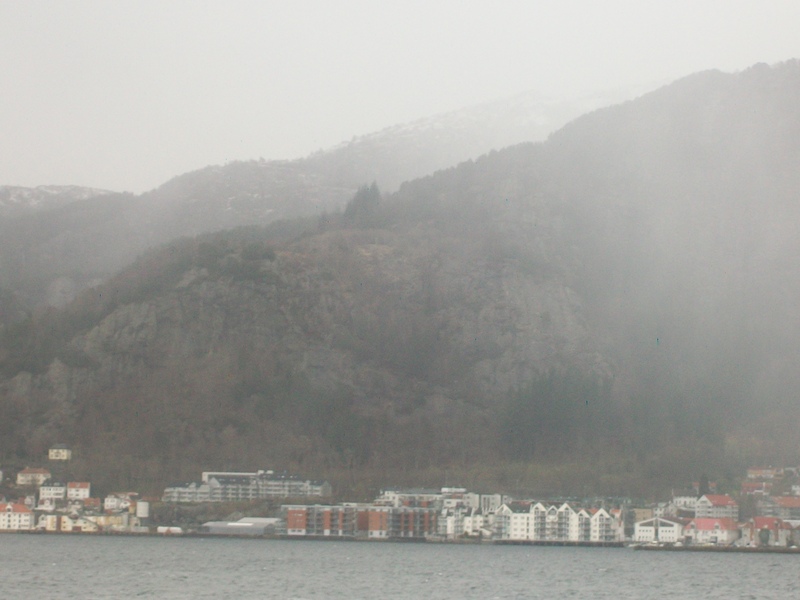 Storm over Sandviken, looking north from Bergen’s western Nordnesparken park promontory.